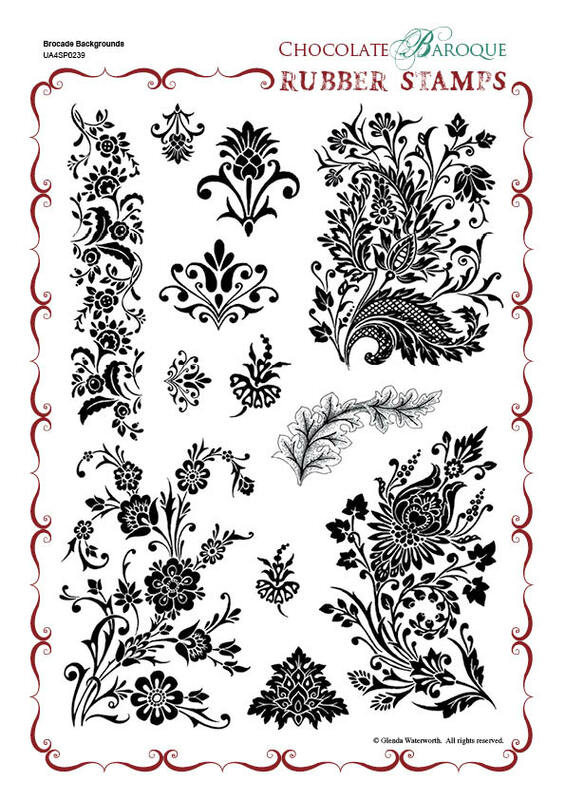 This rubber stamp set contains 12 images of ornate and stylised flowers and borders. 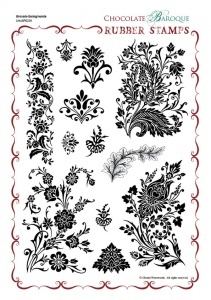 Suitable as main designs or as an addition to create interest in your cardmaking, scrapbooking and art projects. These are amazing stamps. They have all the detail and precision you expect from Chocolate Baroque and stamp beautifully. I'm using them to make backgrounds on everything! A very recent purchase for me but as you would expect the images are crisp and clear. So easy to use just parts of the designs and it still looks fantastic. So very glad I bought it.